Terra cotta nodules and cakes of different shapes are common at most Indus sites. These objects appear to have been used in many different ways depending on their shape and size. The flat triangular and circular shaped cakes may have been heated and used for baking small triangular or circular shaped flat bread. 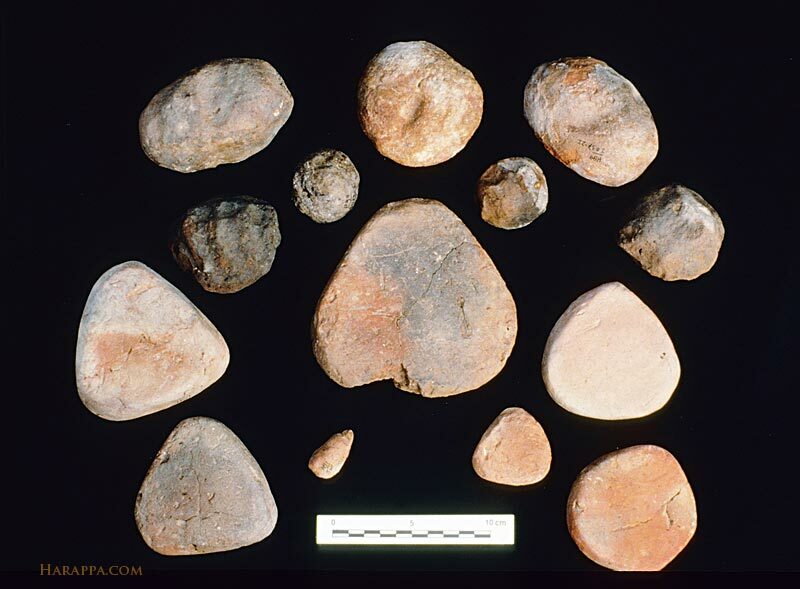 The round and irregular shaped nodules have been found in cooking hearths and at the mouth of pottery kilns where they served as heat baffles. Broken and crushed nodule fragments were used instead of gravel for making a level foundation underneath brick walls.